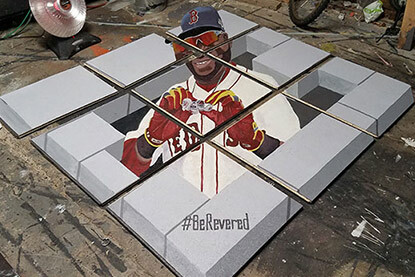 Fitzysnowman Studios is proud of the innovation we contribute to the experiential marketing and event Industry. This is your spot for new product news, and featured projects. This was a short term two week residency at the Los Angeles Zoo for Zoo Lights. We entertained thousands of guests welcoming them in with stacked ice blocks and waving good bye with elves, tree frogs, elephants, giraffes and even Santa Claus! 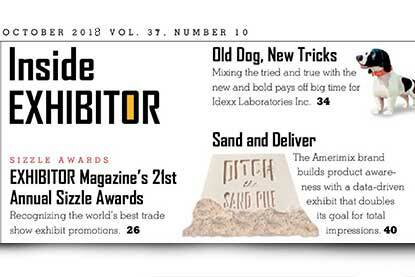 In January 2018, Fitzysnowman Studios was contracted to create a 5 ton sand sculpture for Client Amerimix at the 2018 World of Concrete at the Las Vegas Convention center. 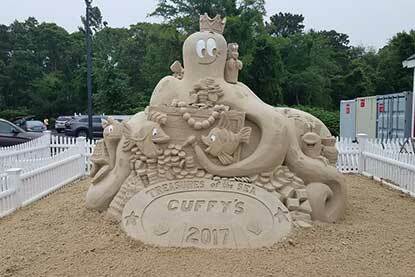 In 2011 by the Town of Yarmouth, MA commissioned us to create sand sculptures on the beach through a travel and tourism grant. Our first question was how many businesses were located near the beach. When the answer was not many, we suggested taking the beach to main street. 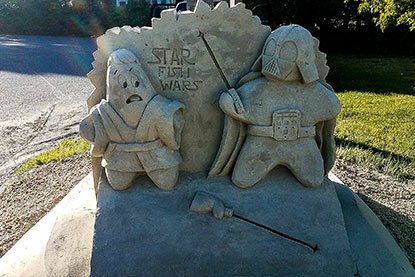 In that instant the Yarmouth sand sculpting Trail was created. 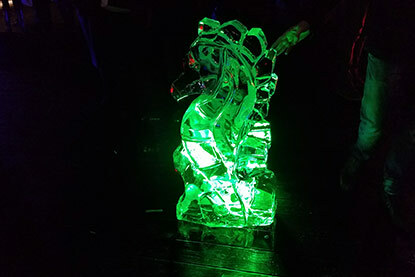 Ice sculpting is something you would expect to see in states with colder climates. 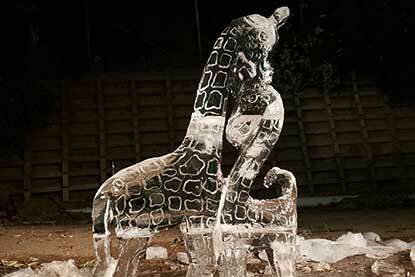 Did you know that it's possible to carve ice even when its 50, 60 70 or even 80 degrees or more? 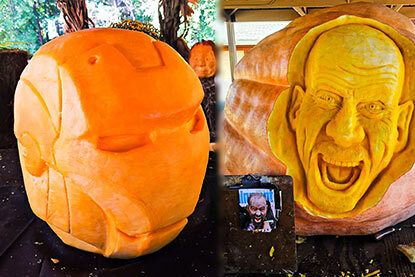 Pumpkin carving or jack-o-lanterns can trace its roots back to 19th century Irish immigrants. In their home land, they would carve grotesque faces in hollowed out turnips. Upon arriving in America, they soon found pumpkins were a superior alternative. 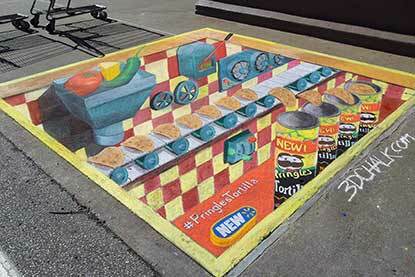 The origins of modern sidewalk art can be traced back to to the 16th century in Italy. The artists know as Madonnari were itinerant artists who were brought into the cities to work on the large cathedrals. Once there work was completed they turned to the streets to recreate images of the Madonna or other paintings from the cathedrals.